The most popular FHA home loan is the fixed-rate loan known as the 203(b). It often works well for first time home buyers. It allows individuals to finance up to 96.5% of their home loan and helps to keep down payments and closing costs. Home ownership rates in America continue to increase at a steady rate due in a large part to the implementation of FHA home loans insurance program. 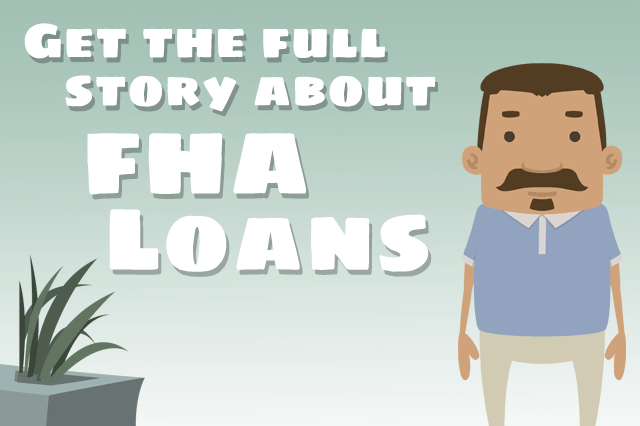 Over the years, FHA has helped Americans gain the financial independence that comes with owning a home. By creating jobs and reasonable mortgage rates for the middle class, financing military housing, and producing housing for the low income and the elderly, FHA has helped Americans become some of the best housed people in the world with over 74.5 million Americans currently owning their own homes. FHA has insured more than 40 million home loans since 1934. By serving as an umbrella under which lenders have the confidence to extend loans to those who may not meet conventional loan requirements, FHA's mortgage insurance allows individuals to qualify who may have been previously denied for a home loan by conventional underwriting guidelines. FHA loans benefit those who would like to purchase a home but haven't been able to put money away for the purchase, like recent college graduates, newlyweds, or people who are still trying to complete their education. It also allows individuals to qualify for a FHA loan whose credit has been marred by bankruptcy or foreclosure. The most popular FHA home loan is the 203(b). This fixed-rate loan often works well for first time home buyers because it allows individuals to finance up to 96.5 percent of their home loan which helps to keep down payments and closing costs at a minimum. The 203(b) home loan is also the only loan in which 100 percent of the closing costs can be a gift from a relative, non-profit, or government agency. It is not necessary to meet a minimum income requirement in order to qualify for a FHA loan but debt ratios specific to the state in which the home will be purchased have been put into place to prevent borrowers from getting into a home they cannot afford. This is done through a close analysis of income and monthly expenses. April 8, 2019 - FHA One-Time Close construction loan options are available for borrowers who wish to apply for an FHA mortgage, but don’t want to buy an existing property. Not all borrowers understand they have options for this type of loan-options that include VA and even USDA construction loans for qualified applicants. April 4, 2019 - Are you thinking of using an FHA One-Time Close Construction loan to have a house built for you in 2019? This type of home loan is different than FHA new purchase loans for existing construction, but it’s definitely worth considering.